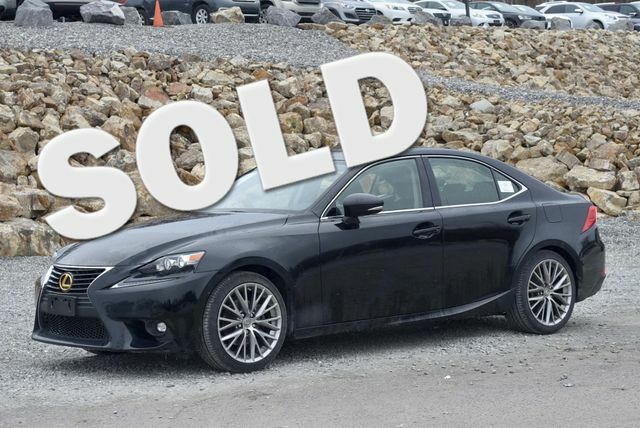 2016 Lexus IS $22,400 33,323 mi. $22,400, Obsidian, 33,323 mi, 1-Owner Clean CARFAX. Heated and Cooled Seats,Sunroof,Backup Camera,Leath Int,Bluetooth,USB,Keyless Entry,P Seats,Alloy Wheels,Push Button Start. We do the service work up front,not after you have seen the vehicle! Buy this Lexus 300 with full confidence and ask for the service records that we have. Give us a call at 203-294-4610 or visit www.WallingfordAutoPark.com to see our full inventory! Trade Ins are welcome. We finance for all credit types! VIN:JTHCM1D24G5003207, Stock No:14437, Please Call Wallingford Auto Park, 485 North Colony Road, Route 5, Wallingford, CT At 203 294-4610. Mention You Saw This Vehicle On Bargain News Online! 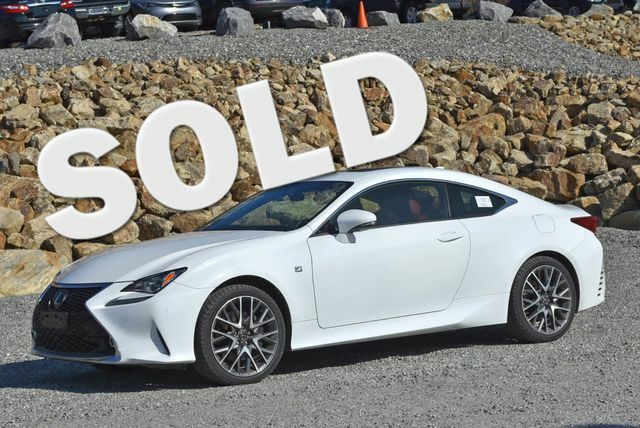 2016 Lexus IS $27,977 34,217 mi. $27,977, Eminent White Pearl, 34,217 mi, CARFAX One-Owner. Heated and Cooled Seats,Sunroof,Blind Spot Monitor,Backup Camera,AWD,Leath Int,Bluetooth,USB,Keyless Entry,P Seats,Alloy Wheels,Push Button Start. We do the service work up front,not after you have seen the vehicle! Buy this Lexus 300 with full confidence and ask for the service records that we have. Give us a call at 203-294-4610 or visit www.WallingfordAutoPark.com to see our full inventory! Trade Ins are welcome. We finance for all credit types! VIN:JTHCM1D27G5010720, Stock No:14766, Please Call Wallingford Auto Park, 485 North Colony Road, Route 5, Wallingford, CT At 203 294-4610. Mention You Saw This Vehicle On Bargain News Online! 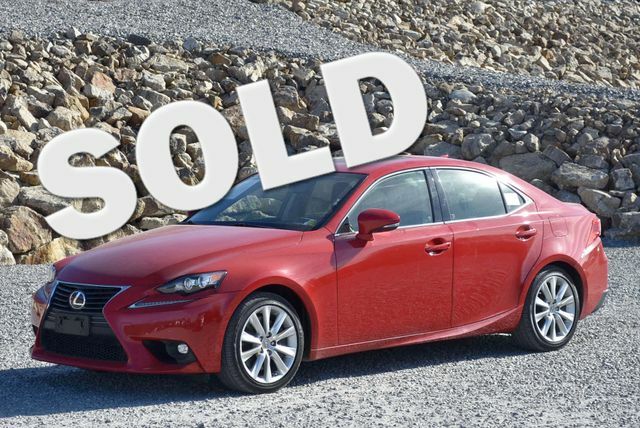 2016 Lexus IS $27,977 35,635 mi. $27,977, Ultrasonic Blue Mica 2.0, 35,635 mi, CARFAX One-Owner. Navigation,Heated and Cooled Seats,Heated Steering Wheel,Sunroof,Blind Spot Monitor,Backup Camera,AWD,Leath Int,Bluetooth,USB,Keyless Entry,P Seats,Alloy Wheels,Push Button Start. We do the service work up front,not after you have seen the vehicle! Buy this Lexus 300 with full confidence and ask for the service records that we have. Give us a call at 203-294-4610 or visit www.WallingfordAutoPark.com to see our full inventory! Trade Ins are welcome. We finance for all credit types! VIN:JTHCM1D29G5008015, Stock No:14774, Please Call Wallingford Auto Park, 485 North Colony Road, Route 5, Wallingford, CT At 203 294-4610. Mention You Saw This Vehicle On Bargain News Online! 2016 Lexus IS $26,980 37,954 mi. $26,980, Nebula Gray Pearl, 37,954 mi, CARFAX One-Owner. Clean CARFAX. Navigation,Heated and Cooled Seats,Sunroof,Blind Spot Monitor,Backup Camera,AWD,Leath Int,Bluetooth,USB,Keyless Entry,P Seats,Alloy Wheels,Push Button Start. We do the service work up front,not after you have seen the vehicle! Buy this Lexus 300 with full confidence and ask for the service records that we have. Give us a call at 203-294-4610 or visit www.WallingfordAutoPark.com to see our full inventory! Trade Ins are welcome. We finance for all credit types! VIN:JTHCM1D29G5005776, Stock No:14756, Please Call Wallingford Auto Park, 485 North Colony Road, Route 5, Wallingford, CT At 203 294-4610. Mention You Saw This Vehicle On Bargain News Online! 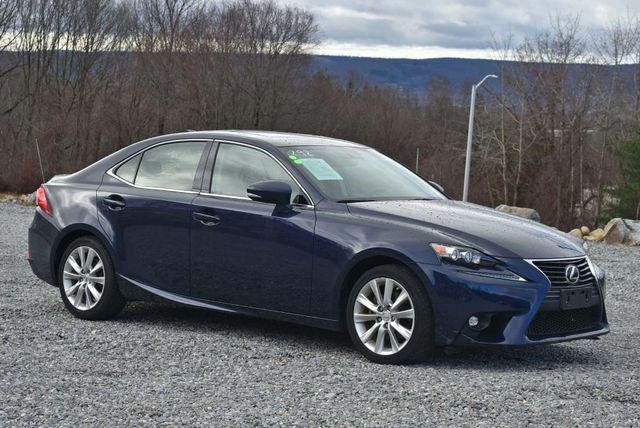 2016 Lexus IS $26,980 15,234 mi. $26,980, Redline, 15,234 mi, CARFAX One-Owner. We do the service work up front,not after you have seen the vehicle! Buy this Lexus 300 with full confidence and ask for the service records that we have. Give us a call at 203-294-4610 or visit www.WallingfordAutoPark.com to see our full inventory! Trade Ins are welcome. We finance for all credit types! VIN:JTHCM1D23G5005272, Stock No:14755, Please Call Wallingford Auto Park, 485 North Colony Road, Route 5, Wallingford, CT At 203 294-4610. Mention You Saw This Vehicle On Bargain News Online! $24,298, Starfire Pearl, 37,843 mi, CARFAX One-Owner. Clean CARFAX. ES 350 Crafted Line ** RARE! ** w/ Navigation,Heated and Cooled Seats,Sunroof,Blind Spot Monitor,Backup Camera,Leath Int,Bluetooth,USB,Keyless Entry,P Seats,Alloy Wheels,Push Button Start. 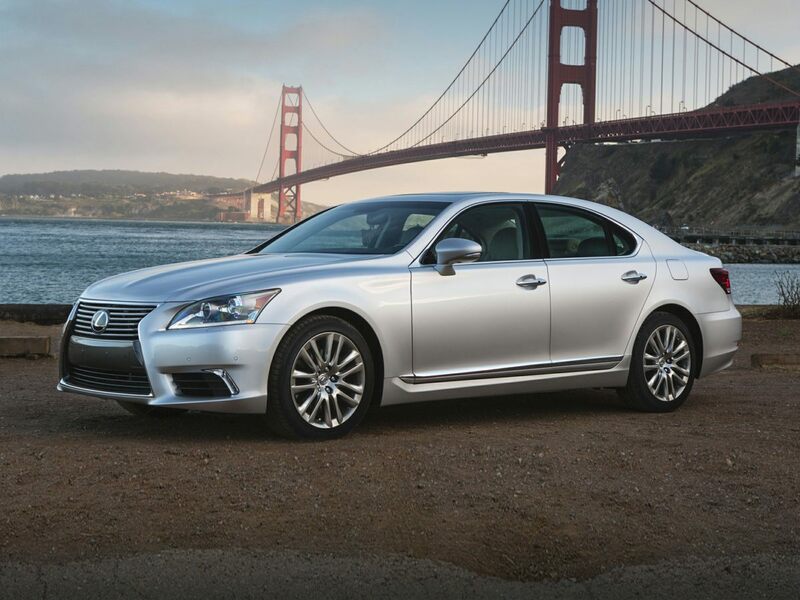 Manager's Comments: Off Lease ES350 Crafted Line from Lexus! This vehicle comes to us from MD. It has amazing service history and perfect Carfax. It also has the regular oil change badge in the Carfax which means the last owner was very consistent with their oil changes. This is a RARE find,will not last long. We have completed $1,449 worth of service and repairs to this vehicle! 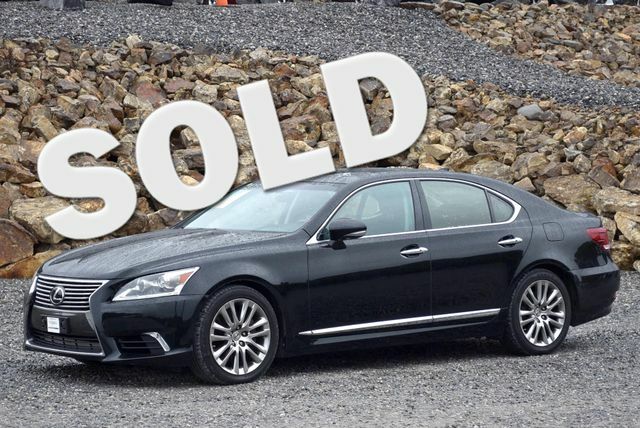 2015 Lexus LS $27,980 71,161 mi. $27,980, Obsidian, 71,161 mi, CARFAX One-Owner. Navigation,Heated and Cooled Seats,Sunroof,Backup Camera,Leath Int,Bluetooth,USB,Keyless Entry,P Seats,Alloy Wheels,Push Button Start. We do the service work up front,not after you have seen the vehicle! 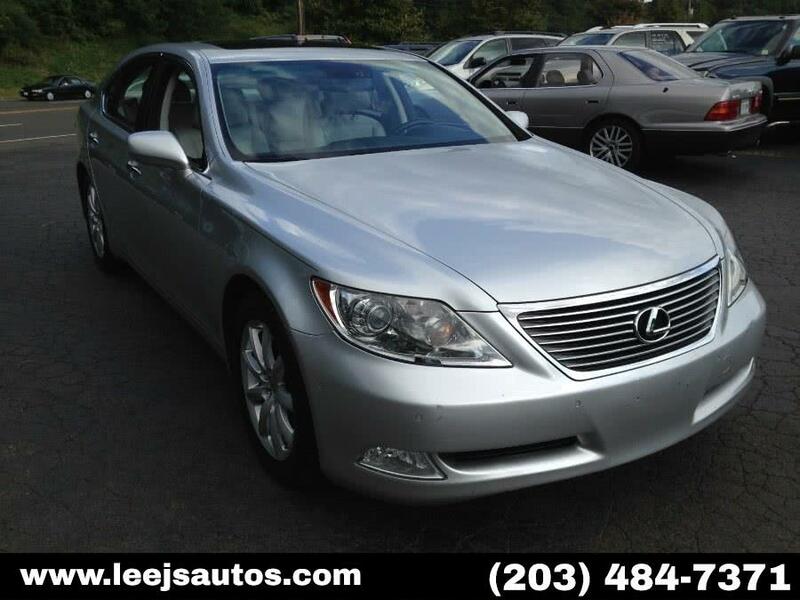 Buy this Lexus 460 with full confidence and ask for the service records that we have. Give us a call at 203-294-4610 or visit www.WallingfordAutoPark.com to see our full inventory! Trade Ins are welcome. We finance for all credit types! VIN:JTHCL5EF2F5024678, Stock No:14681, Please Call Wallingford Auto Park, 485 North Colony Road, Route 5, Wallingford, CT At 203 294-4610. Mention You Saw This Vehicle On Bargain News Online! $24,700, Starfire Pearl, 42,607 mi, CARFAX One-Owner. RX 350 w/ Heated and Cooled Seats,Sunroof,Backup Camera,New Tires,AWD,Leath Int,Bluetooth,USB,Keyless Entry,P Seats,Alloy Wheels,Push Button Start,Power Lift Gate. 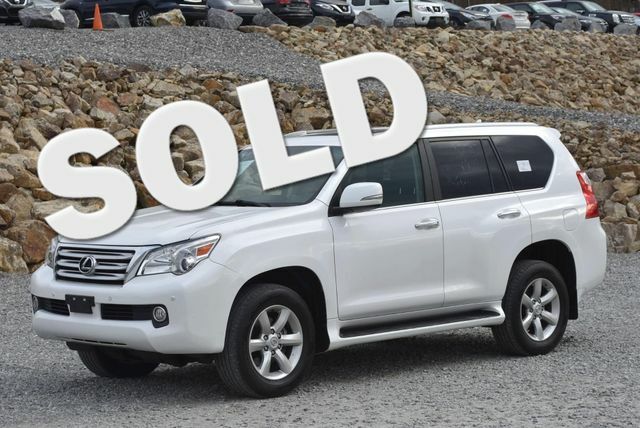 Manager's Comments: This RX350 is an Off Lease vehicle from Lexus! We have completed $1,580 worth of service and repairs to this vehicle! Call us today it will not last at this price. $24,500, Obsidian, 42,475 mi, CARFAX One-Owner. RX 350 AWD w/ Navigation,Heated and Cooled Seats,Sunroof,Blind Spot Monitor,Backup Camera,New Tires,Leath Int,Bluetooth,USB,Keyless Entry,P Seats,Push Button Start,Premium Alloy Wheels. Manager's Comments: Off Lease RX350 from Lexus. Great service history with regular oil changes. We have completed $2,077 worth of service and repairs to this vehicle! This one is a deal,won't last long! 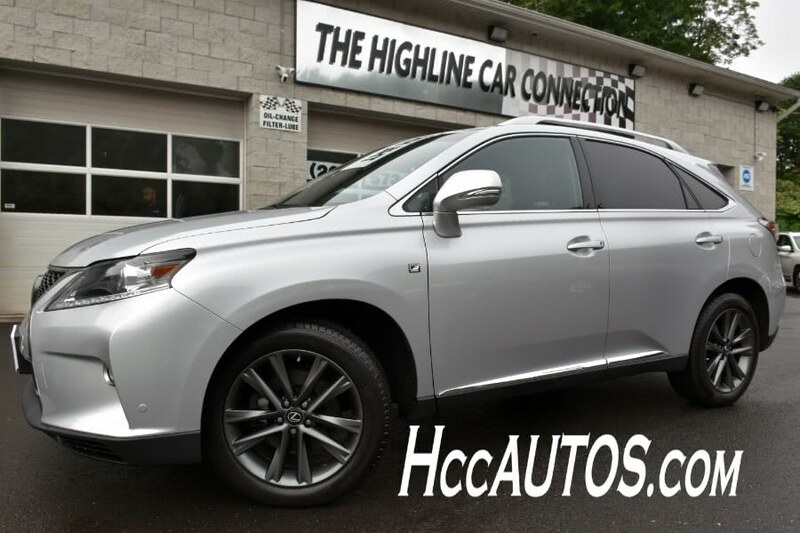 2015 Lexus RX $23,880 57,700 mi. $23,880, Starfire Pearl, 57,700 mi, navigation,DVD Entertainment,Heated and Cooled Seats,Sunroof,Blind Spot Monitor,Backup Camera,Leath Int,Bluetooth,USB,Keyless Entry,P Seats,Alloy Wheels,Push Button Start. We do the service work up front,not after you have seen the vehicle! Buy this Lexus 350 with full confidence and ask for the service records that we have. Give us a call at 203-294-4610 or visit www.WallingfordAutoPark.com to see our full inventory! Trade Ins are welcome. We finance for all credit types! VIN:2T2BK1BA9FC314268, Stock No:14487A, Please Call Wallingford Auto Park, 485 North Colony Road, Route 5, Wallingford, CT At 203 294-4610. Mention You Saw This Vehicle On Bargain News Online! 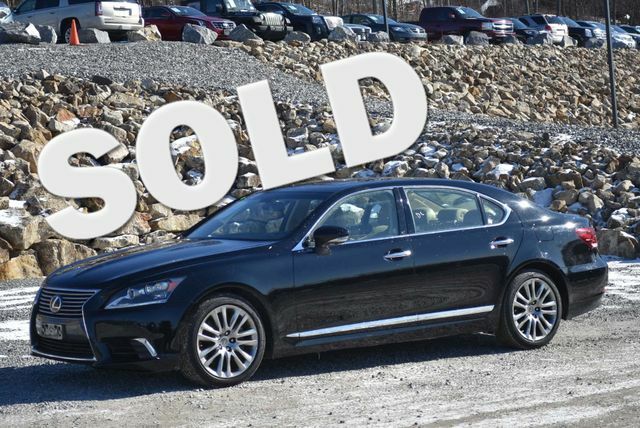 2014 Lexus LS $40,000 29,719 mi. Clean CARFAX. Odometer is 27170 miles below market average! * 2014 KBB.com Best Resale Value Awards * 2014 KBB.com Brand Image Awards * 2014 KBB.com 5-Year Cost to Own Awards As one of the top car dealerships in Terryville, CT,we take pride in helping you find the perfect new,used or Certified Pre-Owned Chevrolet vehicle for your lifestyle and budget. Whether you see us first or last,you'll love us! 860-582-7434. VIN:JTHGL5EF8E5051979, Stock No:051979T, Terryville Chevrolet "We Take Anything In On Trade", 302 Main Street, Terryville, CT 860-582-7434. Mention You Saw This Vehicle On Bargain News Online! 2013 Lexus CT $14,000 64,533 mi. $14,000, Obsidian, 64,533 mi, ** NAVIGATION ** BACKUP CAM ** HEATED SEATS ** BLUETOOTH ** SUNROOF ** ALLOY WHEELS ** USB ** DRIVE MODE SELECT ** POWER SEAT ** LEATHER ** And more! We do the service work up front,not after you have seen the vehicle! 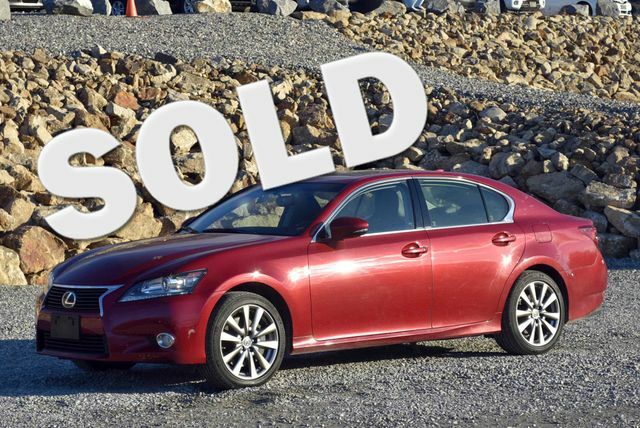 Buy this Lexus 200h with full confidence and ask for the service records that we have. Give us a call at 203-294-4610 or visit www.WallingfordAutoPark.com to see our full inventory! Trade Ins are welcome. We finance for all credit types! VIN:JTHKD5BHXD2131152, Stock No:14331, Please Call Wallingford Auto Park, 485 North Colony Road, Route 5, Wallingford, CT At 203 294-4610. Mention You Saw This Vehicle On Bargain News Online! 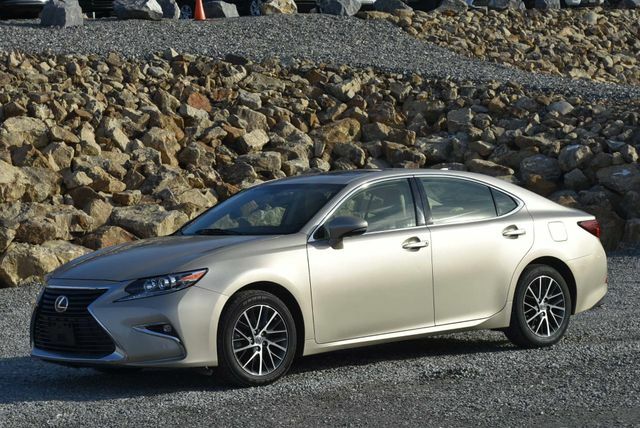 2013 Lexus ES $18,280 50,682 mi. $18,280, Deep Sea Mica, 50,682 mi, navigation,Heated and Cooled Seats,Sunroof,Blind Spot Monitor,Backup Camera,New Tires,Leath Int,Bluetooth,USB,Keyless Entry,P Seats,Alloy Wheels,Push Button Start. We do the service work up front,not after you have seen the vehicle! Buy this Lexus 300h with full confidence and ask for the service records that we have. Give us a call at 203-294-4610 or visit www.WallingfordAutoPark.com to see our full inventory! Trade Ins are welcome. We finance for all credit types! VIN:JTHBW1GG9D2011300, Stock No:14586, Please Call Wallingford Auto Park, 485 North Colony Road, Route 5, Wallingford, CT At 203 294-4610. Mention You Saw This Vehicle On Bargain News Online! 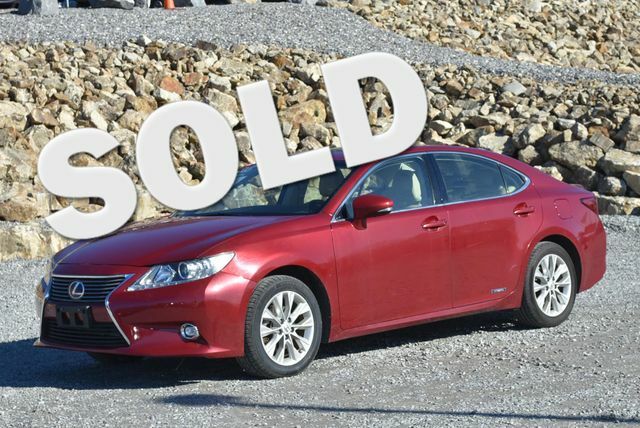 2013 Lexus ES $18,499 56,590 mi. $18,499, Obsidian, 56,590 mi, ** LUXURY PACKAGE ** PREMIUM PACKAGE ** Navigation,Heated and Cooled Seats,Sunroof,Blind Spot Monitor,Backup Camera,Leath Int,Bluetooth,USB,Keyless Entry,P Seats,Alloy Wheels,Push Button Start. We do the service work up front,not after you have seen the vehicle! Buy this Lexus 350 with full confidence and ask for the service records that we have. Give us a call at 203-294-4610 or visit www.WallingfordAutoPark.com to see our full inventory! Trade Ins are welcome. We finance for all credit types! VIN:JTHBK1GG9D2069578, Stock No:14673, Please Call Wallingford Auto Park, 485 North Colony Road, Route 5, Wallingford, CT At 203 294-4610. Mention You Saw This Vehicle On Bargain News Online! 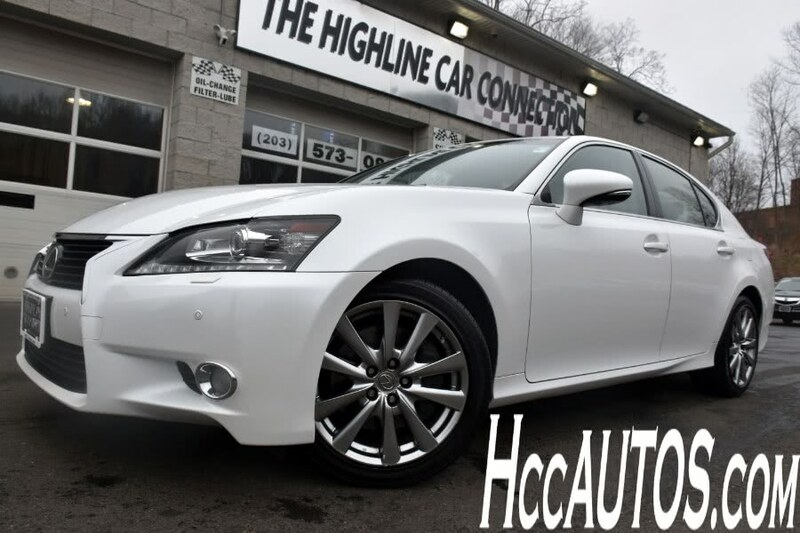 2013 Lexus GS $20,977 64,755 mi. $20,977, Starfire Pearl, 64,755 mi, VIN:JTHCE1BL6D5019462, Stock No:14759, Please Call Wallingford Auto Park, 485 North Colony Road, Route 5, Wallingford, CT At 203 294-4610. Mention You Saw This Vehicle On Bargain News Online! 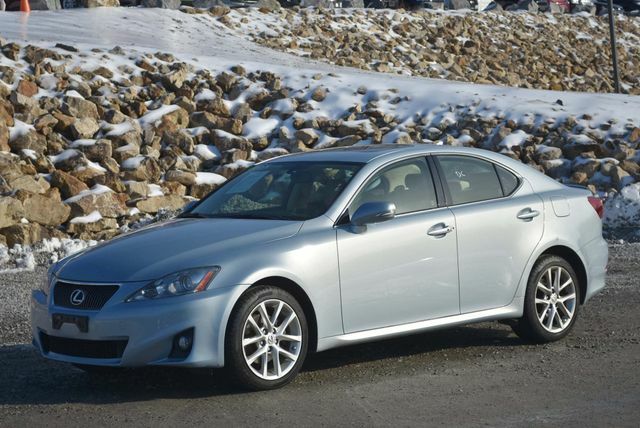 2013 Lexus IS $14,400 70,639 mi. $14,400, Liquid Platinum, 70,639 mi, Heated and Cooled Seats,Sunroof,New Tires,Leath Int,Bluetooth,USB,Keyless Entry,P Seats,Alloy Wheels,Push Button Start. We do the service work up front,not after you have seen the vehicle! Buy this Lexus 250 with full confidence and ask for the service records that we have. Give us a call at 203-294-4610 or visit www.WallingfordAutoPark.com to see our full inventory! Trade Ins are welcome. We finance for all credit types! VIN:JTHCF5C28D5062369, Stock No:14694, Please Call Wallingford Auto Park, 485 North Colony Road, Route 5, Wallingford, CT At 203 294-4610. Mention You Saw This Vehicle On Bargain News Online! 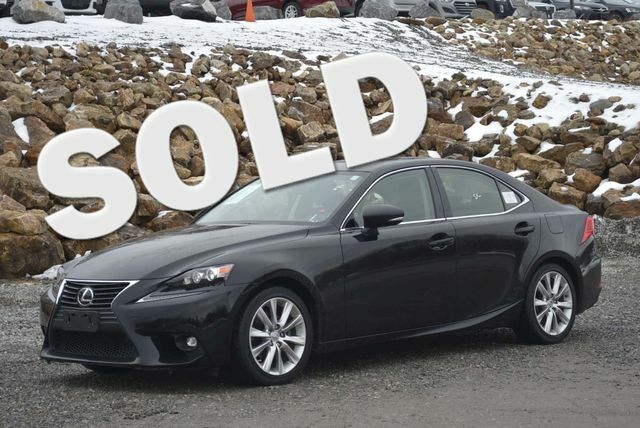 2013 Lexus IS $23,577 44,572 mi. $23,577, Starfire Pearl, 44,572 mi, navigation,Heated and Cooled Seats,Backup Camera,Leath Int,Bluetooth,USB,Keyless Entry,heated seats,Alloy Wheels,Push Button Start,Remote Start. We do the service work up front,not after you have seen the vehicle! Buy this Lexus 250 C with full confidence and ask for the service records that we have. Give us a call at 203-294-4610 or visit www.WallingfordAutoPark.com to see our full inventory! Trade Ins are welcome. We finance for all credit types! VIN:JTHFF2C23D2527329, Stock No:14637, Please Call Wallingford Auto Park, 485 North Colony Road, Route 5, Wallingford, CT At 203 294-4610. Mention You Saw This Vehicle On Bargain News Online! 2012 Lexus CT $13,495 77,798 mi. 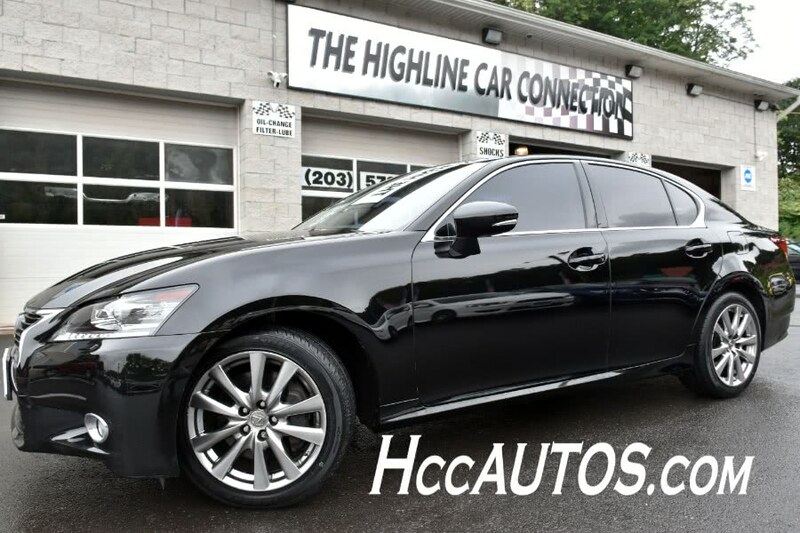 $13,495, Obsidian, 77,798 mi, 2012 Lexus CT 200h Obsidian Navigation/GPS,Heated Leather Seats,Sunroof,1.8L 4-Cylinder DOHC 16V VVT-i,Continuously Variable (ECVT). * 2012 KBB.com Best Resale Value Awards As one of the top car dealerships in Terryville, CT,we take pride in helping you find the perfect new,used or Certified Pre-Owned Chevrolet vehicle for your lifestyle and budget. Whether you see us first or last,you'll love us! 860-582-7434. VIN:JTHKD5BH9C2092245, Stock No:7486A, Terryville Chevrolet "We Take Anything In On Trade", 302 Main Street, Terryville, CT 860-582-7434. Mention You Saw This Vehicle On Bargain News Online! $13,999, Smoky Granite Mica, 48,476 mi, Clean CARFAX. 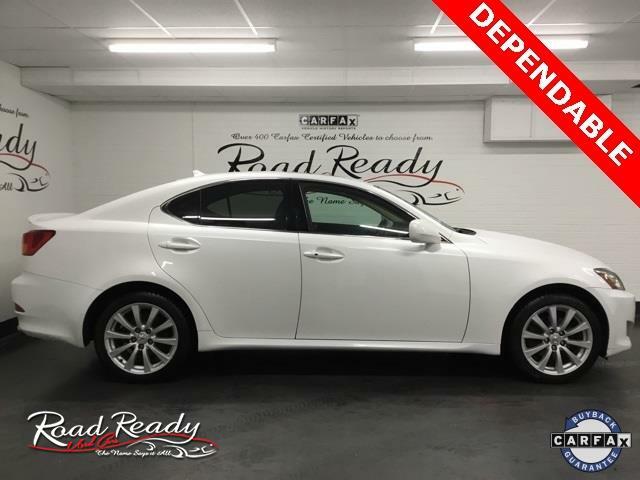 Tungsten Pearl 2011 Lexus IS 250 RWD 6-Speed Automatic Electronic with ECT-i 2.5L V6 DOHC 24V VVT-i CREDIT ISSUES? WE CAN HELP!! **203-888-2000**,ACCIDENT FREE CARFAX REPORT,ALL WHEEL DRIVE,AVAILABLE EXTENDED WARRANTY,2.5L V6 DOHC 24V VVT-i,4-Wheel Disc Brakes,ABS,AM/FM radio: XM,Dual front impact airbags,Dual front side impact airbags,Four wheel independent suspension,Mark Levinson Premium Audio Package,Remote keyless entry,Speed-sensing steering,Steering wheel mounted audio controls,Traction control. 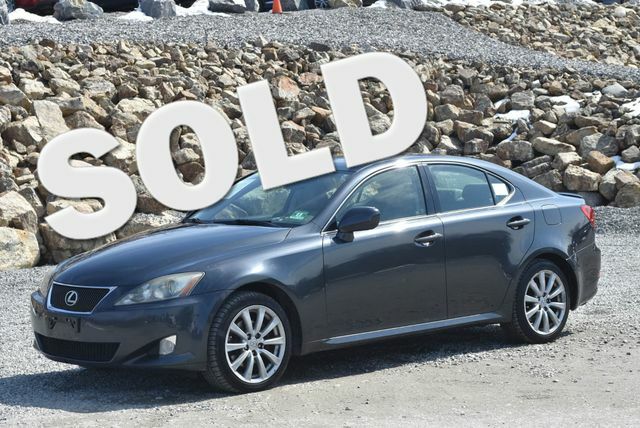 2010 Lexus IS $13,977 147,317 mi. 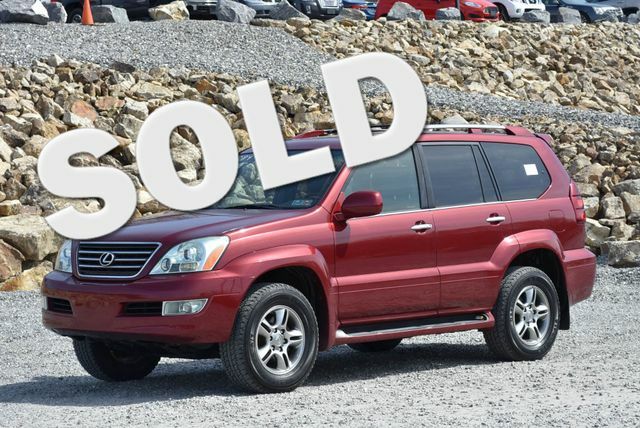 $13,977, Matador Red Mica, 147,317 mi, Certified by our 108-point safety inspection! We do the service work up front,not after you have seen the vehicle! Buy this Lexus 250 C with full confidence and ask for the service records that we have. Give us a call at 203-294-4610 or visit www.WallingfordAutoPark.com to see our full inventory! Trade Ins are welcome. We finance for all credit types! VIN:JTHFF2C23A2500692, Stock No:14732, Please Call Wallingford Auto Park, 485 North Colony Road, Route 5, Wallingford, CT At 203 294-4610. Mention You Saw This Vehicle On Bargain News Online! LEE J'S AUTO SALES & SERVICE Over 20 years in the BRANFORD Area!! Call Lee J TODAY for best price! Reach us @(203) 484-7371 WWW.LEEJSAUTOS.COM NEVER A FEE! DMV Paperwork ALWAYS FREE!!! "WHERE YOUR PURCHASE IS ALWAYS PLEASANT!!" "WHERE YOUR PURCHASE IS ALWAYS PLEASANT!!!!" 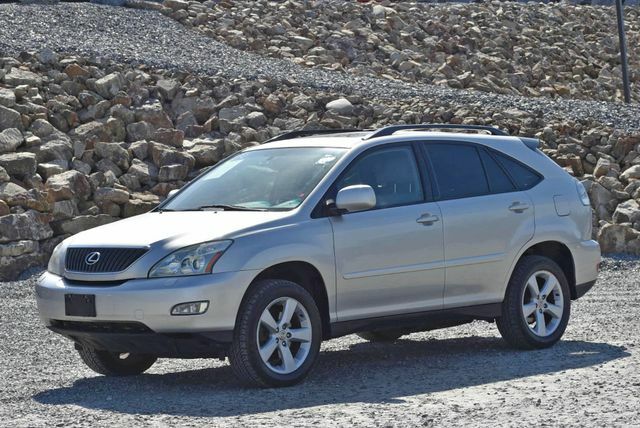 2008 Lexus RX $11,977 96,127 mi. 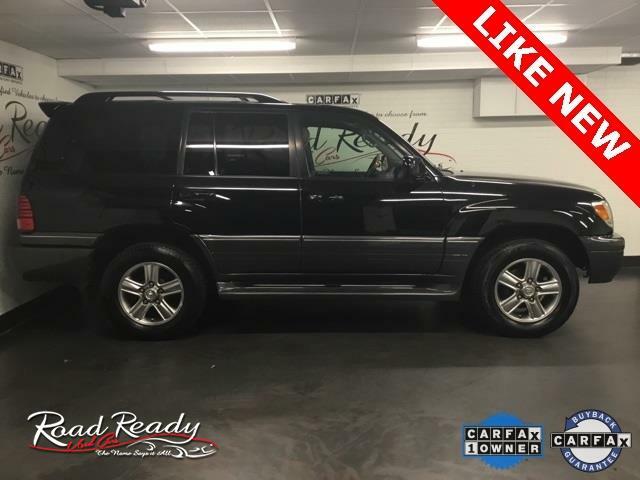 $11,977, Brandywine Mica, 96,127 mi, navigation,Sunroof,Backup Camera,New Tires,Leath Int,Bluetooth,USB,heated seats,P Seats,Alloy Wheels. We do the service work up front,not after you have seen the vehicle! 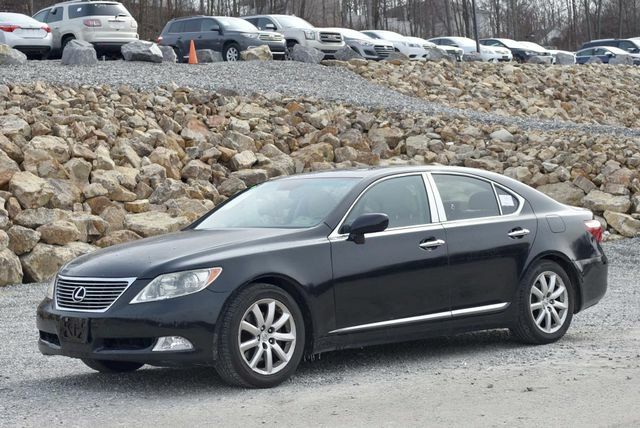 Buy this Lexus 350 with full confidence and ask for the service records that we have. Give us a call at 203-294-4610 or visit www.WallingfordAutoPark.com to see our full inventory! Trade Ins are welcome. We finance for all credit types! VIN:JTJHK31U682854178, Stock No:14669, Please Call Wallingford Auto Park, 485 North Colony Road, Route 5, Wallingford, CT At 203 294-4610. Mention You Saw This Vehicle On Bargain News Online! 2008 Lexus RX $10,977 106,408 mi. 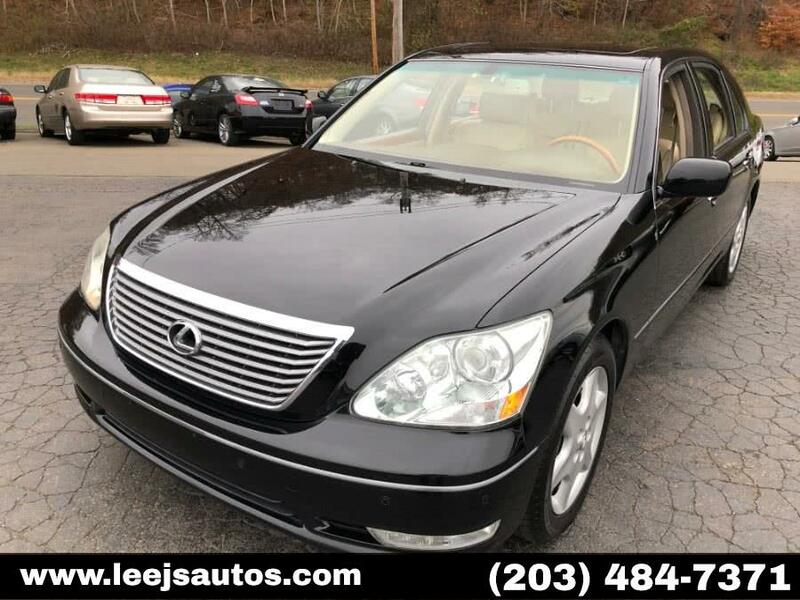 $10,977, Black Onyx, 106,408 mi, VIN:JTJHW31U982862053, Stock No:14659, Please Call Wallingford Auto Park, 485 North Colony Road, Route 5, Wallingford, CT At 203 294-4610. Mention You Saw This Vehicle On Bargain News Online! 2007 Lexus IS $9,500 120,528 mi. $9,500, Obsidian, 120,528 mi, navigation,Heated and Cooled Seats,Sunroof,Backup Camera,Leath Int,Bluetooth,Keyless Entry,P Seats,Alloy Wheels. We do the service work up front,not after you have seen the vehicle! Buy this Lexus 250 with full confidence and ask for the service records that we have. 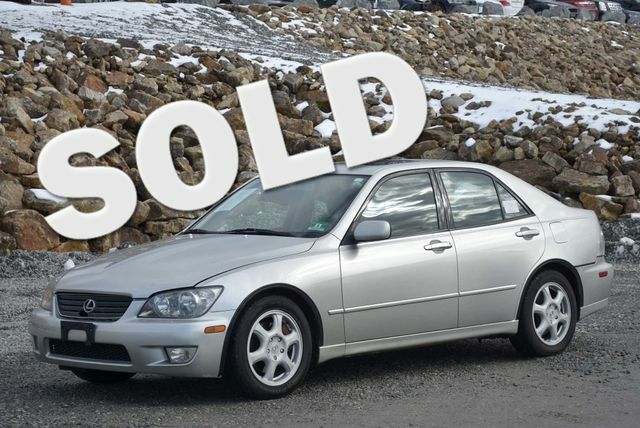 Give us a call at 203-294-4610 or visit www.WallingfordAutoPark.com to see our full inventory! Trade Ins are welcome. We finance for all credit types! VIN:JTHCK262572011178, Stock No:14585, Please Call Wallingford Auto Park, 485 North Colony Road, Route 5, Wallingford, CT At 203 294-4610. Mention You Saw This Vehicle On Bargain News Online! $14,999, White Gold Crystal, 50,324 mi, White Gold Crystal 2002 Lexus SC 430 RWD 5-Speed Automatic with Overdrive 4.3L V8 SMPI DOHC CREDIT ISSUES? WE CAN HELP!! **203-888-2000**,SERVICE HISTORY AVAILABLE,AVAILABLE EXTENDED WARRANTY,Saddle Leather,4-Wheel Disc Brakes,ABS,Brake assist,Convertible HardTop,Dual front impact airbags,Dual front side impact airbags,Electronic Stability Control,Four wheel independent suspension,Front anti-roll bar,Mark Levinson Premium Audio System,Navigation System,Remote keyless entry,Speed-sensing steering,Steering wheel memory,Steering wheel mounted audio controls,Traction control. 1996 LEXUS ES300 $6,549 98,639 mi. $6,549, White Diamond Pearl, 98,639 mi, Air Conditioning, Chrome Wheels, Power Door Locks, Alloy Wheels, Anti-Lock Brakes, Automatic Transmission, Child Proof Locks, Cruise Control, Premium Stereo, Power Mirrors, Power Seats, Power Steering, Power Windows, Sunroof, Wood Grain Dash VIN:JT8BF12GXT0162972, Stock No:162972, Call Wiz Leasing at 203-375-3800 for all your automotive needs.Please let us know that you saw this on Bargain News Online. 2001 LEXUS RX 300 $3,800 164,970 mi.